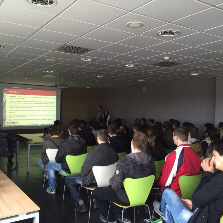 It was a great honor to us that we were able to host the students of third year of mechanical engineering from all study programs on April 21, and the students showed a significant interest in hot-dip galvanization process. 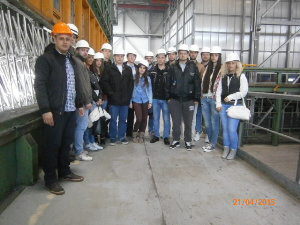 During the previous years, a large number of their colleagues completed internship at Metal Cinkara, which is another indicator of the results of our cooperation. The group was lead by Doc. dr Milovan Lazarević, Doc. dr Nikola Brkljač, Doc. Dr Aleksandar Rikalović, Doc. Dr Boris Stojić and dr Milan Radošević. 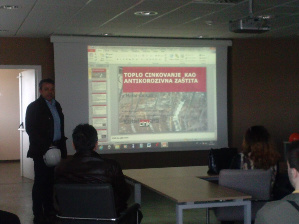 Presentation of hot-dip galvanization technology and the complete production process in the plant has, as before, been done by our technology manager Milice Jovanović and our quality control manager Aleksandar Dumitrov at a very high level. 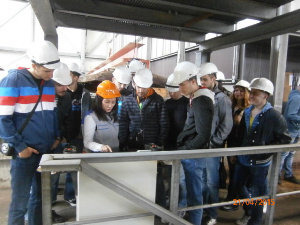 Raising awareness of the importance of hot-dip galvanization as the most efficient anti-corrosion protection with young engineers who will reach important decisions on the choice of protection of steel structures is very important.